Kyla Jade is an American gospel singer and songwriter from Nashville who is best known for her stint in the famous television show, Bobby Jones Gospel. She competes on season 14 of The Voice and successfully makes it to the Top 4 alongside Spensha Baker, Britton Buchanan, and Brynn Cartelli. She is a member of Team Blake. She flattered the judges with her rendition of Aretha Franklin’s song “See Saw” during the blind auditions. Kyla Jade was born on the 15th of March 1985, in Topeka, Kansas, United States of America. She’s currently 34 years old. Place of Birth Topeka, Kansas, U.S.
Jade graduated from Shawnee Heights High School in 2002. She attended Fisk University in Nashville. Kyla Jade has kept her personal life under the wraps and thus there is not much information available of any relationship she has had in the past or in the present. Kyla released her debut single, entitled “Hello Sunshine” in 2014. 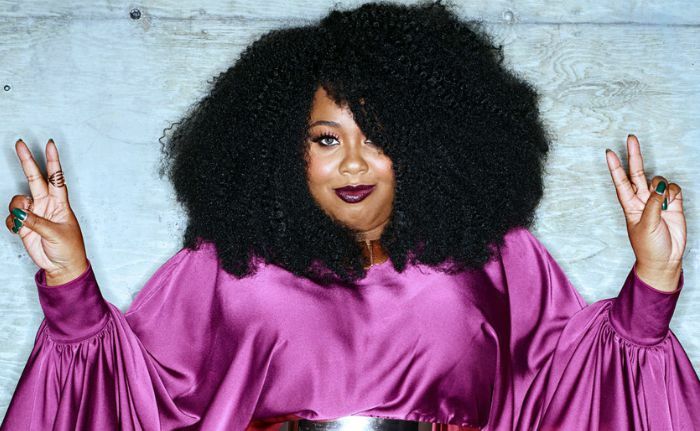 She made her first television appearance on BET’s hit show, Bobby Jones Gospel in 2004 when she joined the Nashville Super Choir. It was the longest running show on the network. She traveled with the show for nine years. Her appearance on television shows, Bobby Jones Gospel and The Voice (US) Season 14. Growing up, Kyla had sang in school choirs and at the Greater St. Paul Church of God in Christ. She is the Minister of Music at Cathedral of Praise COGIC under the direction of the Honorable Bishop Jerry L. Maynard. After graduation, she got her break when she the Nashville Super Choir on “Bobby Jones Gospel,” the longest running gospel show on BET. She is a background singer and has worked with many popular artists like Aretha Franklin, Patti LaBelle, to name a few. Jade has worked as a background vocalist for singer and actress, Jennifer Hudson, a former coach on The Voice. Jade worked with Carrie Underwood as a background vocalist and went on her first tour with Wynonna Judd. She has her own music entertainment company called Love Jade Inc.